I log into the web interface of madsonic 6.3.9560 as a user that has admin permissions. I then go to playlist tools and recover playlists, causing playlists to be imported with owner being admin. 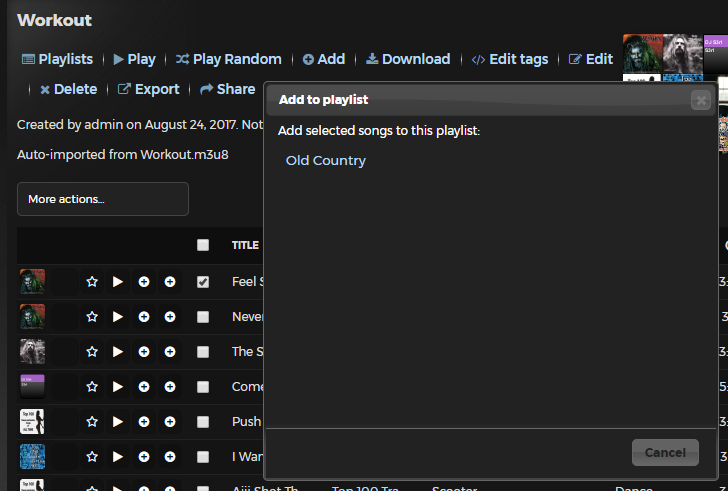 As a user with admin privileges I am able to delete songs from the playlists, but when I select a song from the player at the bottom and then click add to playlist, none of the playlists belonging to admin show up. Given the user can delete songs from the playlist I think the user should be able to add to them as well. I don't see how to change owners of playlists, so that doesn't seem to be an alternative to this either. +1 I just ran into this and was totally confused. 2. Create new user 'test', give 'test' user 'admin' setting (and even check all available permission boxes). 3. On file system, copy my copied playlists to the 'Backup' directory for Madsonic. 4. Go to Settings > Playlist and use 'Recover Playlists' to import playlists. 7. Login with 'test' user (remember this was set to be an admin account also). 8. Create personal playlist, as an example to see in next few steps. I created one called 'Old Country'. 9. Go to any list of tracks (example: view an album), and then click checkbox by a song. 10. Use the dropdown menu at the top (says 'More actions...) and select 'Add to playlist' (under 'Selected songs'). 1. 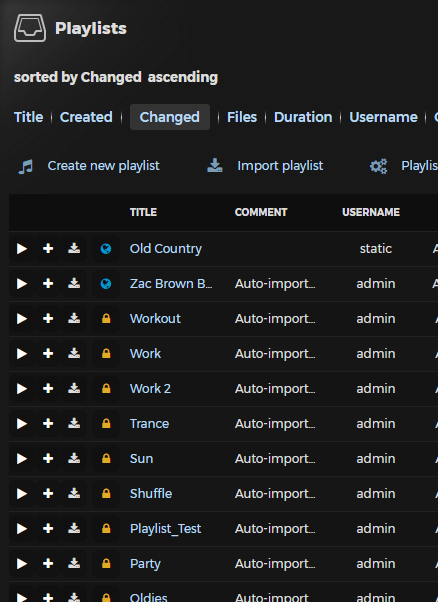 Admin users should be able to edit other user's playlists. 2. 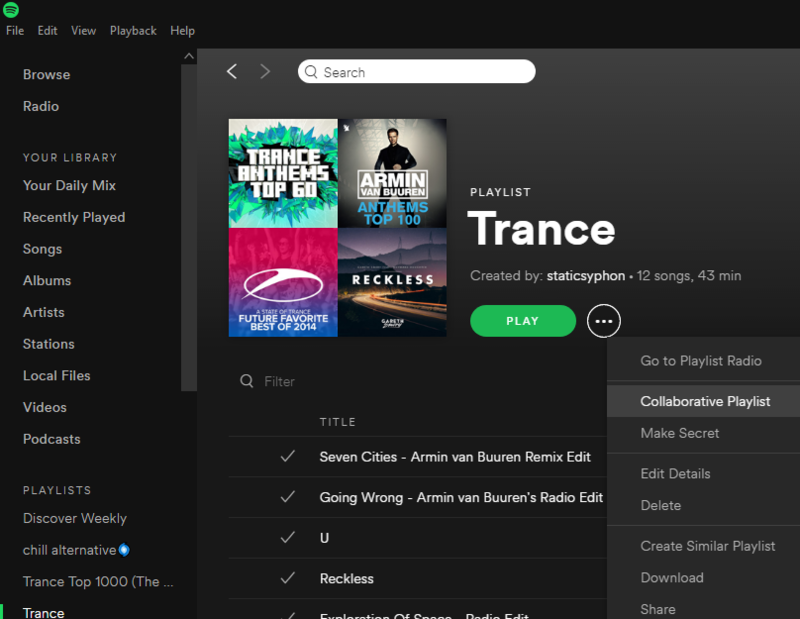 There should be a third option, such as "Open" or "Collaborative", when editing a playlist. I had similar issues even when the "Make this playlist visible to other users." option was enabled for restored playlist. Simplest option is to import playlist one-by-one with your non-admin user but is rather annoying when you have multiple playlists. If you're not afraid of writing some simple SQL, you can update the owner manually of the imported playlist by "DB Tool". Did this myself and got playlist working under my regular user. Although this is not solving the problem that playlists could be edited by multiple different users.